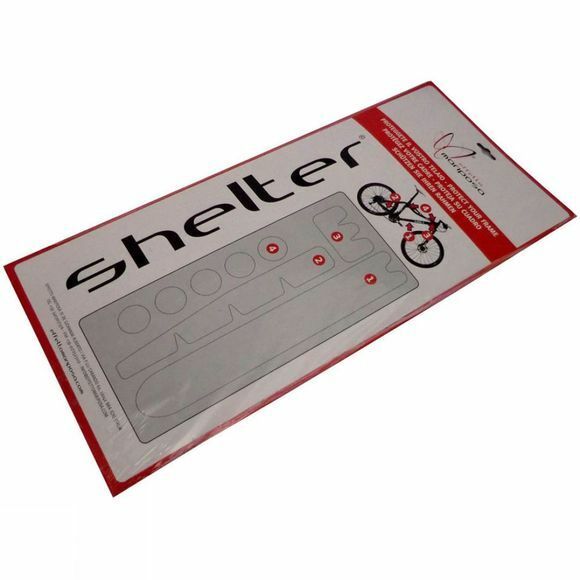 Self-adhesive SHELTER protection is a composite, multi-layered (50Ã—20 micron shock-resistant layers, 200 micron scratch-resistant, total thickness 1,2 mm), transparent compound with visco-elastic behaviour. SHELTER widely increases the shock-resistance of carbon-fiber or metal structures itâ€™s applied to. SHELTER KIT: sheet with pre-cut elements, to easily protect sensitive frame areas (chainstays, down tube, cable/frame contact points).